When we were touring USA and staying with my friend Paula for four months, Farheena was very much influenced by the Americans. She wanted to be one of them first by changing her appearance and then her attitude. Now one thing missing from her style of imitation was the wedding ring all my married friends wore. 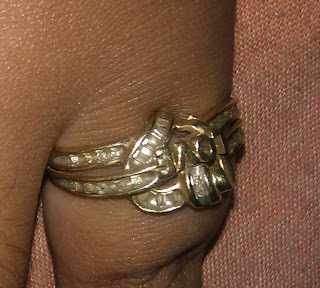 Most of them had one special finger ring and Farheena started pestering me for one. The young lady turned towards me and smiled. I was feeling quite embarrassed thinking that, maybe she knows Farheena is staring at her and even talking about her. I was giving her a smile back, when Paula came back to join us from nowhere. The girl walked up to me and told me that she has been observing Farheena for sometime now, as she found her very attractive. Her innocence had captured her heart. I was relieved that she was not offended and told her that Farheena never stares at people, but something about her had caught her attention. She laughed out loud and told me that must be the two eyes she had on her back which Farheena had seen. I was taken aback and so was Paula, when she quickly turned her back to us and we found being stared at by two eyes on her back just below the nape of her neck. It took us some time to realize that those were real looking tattoos of brown eyes. Paula and I stood stunned as her back stared at us. It was as though the eyes were real and watching us. That was the most amazing tattoo I have ever seen. Even Paula, the tattoo hater, was quite impressed with it. She wanted to know about Farheena and we wanted to know about her. All four of us moved to a corner and started sharing our stories. When Paula is around she does the most and starts talking even before our lips can part. She told her about how we connected through breast cancer support board, the story of our dream visit of USA, the miracle of everything falling in places and many such stories. Taysha, the girl with brown eyes on her face and back, said that the tattoo on her back was done by her when she was cheated by her boyfriend when she was pregnant with his child at the age of 17. It reminded her to watch out for those who cheated her behind her back. Once bitten always shy. Like every dark cloud having a silver lining, her child was a blessing for her. She went through some illness 3 years later which meant she could not conceive again. Paula and I were very much touched by her story and we had to fight hard to control our tears. She had gone through so much at very young age. She said she was wondering if a girl like her could be taken for a ride so easily, how Farheena could be safe in this world. How could she know the good from the bad? When God or Nature or whatever takes one thing from you, then it compensates it with something other. 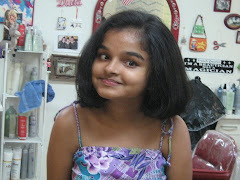 Farheena being a special needs child has this ability to know good and bad people. In the past few years I have learned to accept her gut feeling more than my gut feeling, my brain, my experience or my heart. She keeps away from people who may hurt her and at times tells me she doesn’t want to be with someone or someplace as she feels it is not safe for her. I quickly take steps to keep her away from that and so far I do not even know whether she is right or wrong. I don’t want to find out she is right either. I was discussing this with Taysha when all of sudden she removed a ring from her finger and handed it to Farheena. I and Paula both stopped her telling that we will find a ring for her. She told us it was not easy to find a perfect ring for Farheena because she was special and deserved something very special. The ring she was giving her was very close to her heart, but she hesitated to tell us more. She made Farheena promise that she would take care of it and not lose it ever. I and Paula were not comfortable with a stranger giving a special gift to Farheena. Paula whispered that we should pay her in some way. We decided to take her address and get in touch with her later. She was walking away after giving a big hug with tears in her eyes when Paula asked her for her phone number. She wrote down her email ID in my phonebook and gave it to Paula telling her that she would give her number over the mail later. We said goodbye to her and brought the now satisfied Farheena back home. Farheena was very happy with the gift she got, because she had found love and affection from a person not known to her earlier. 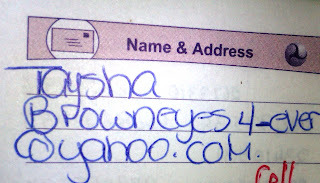 When we tried to get in touch with Taysha through her email, it bounced back. I feel she did not want us to pay her back in any way, which is why she avoided giving us her contact info. I had met many wonderful people in USA who have left a permanent impression one me, but they were not strangers. They were friends who were like a family to me. The four months we spent in USA has been the most remarkable period of our life with lots of fun, parties and meeting friends. It is amazing how a young woman stands out in my memory among all this marvelous events. I had barely seen her for more than an hour. 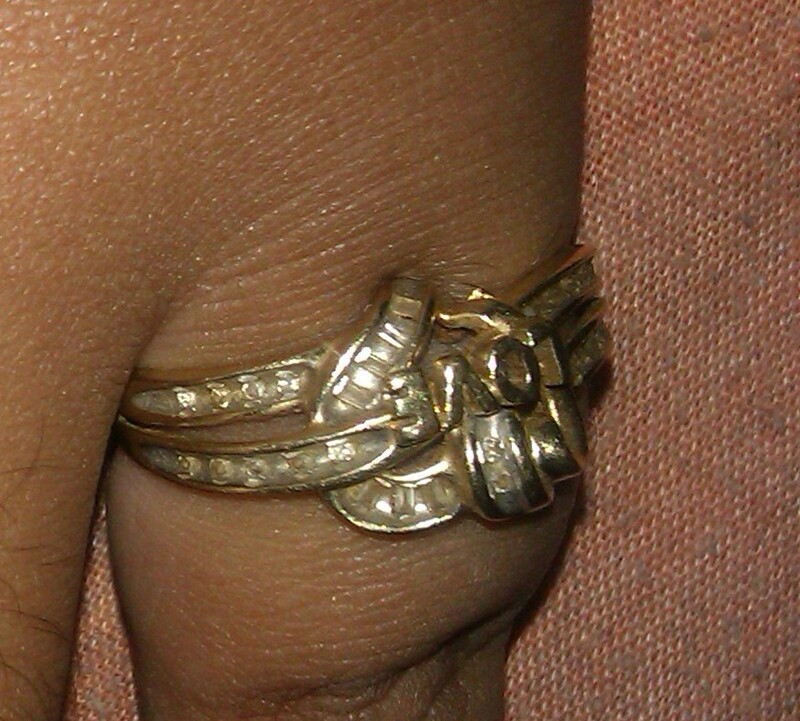 Farheena thinks of her often, and keeps the ring safe after one bad experience of losing it for a short time. With people being divided by religion, colors, attitudes, beliefs, boundaries, languages etc, it is wonderful how people also connect and bond with each other so easily. I have learned something from the girl with brown eyes on her back and that makes me worry less about Farheena’s life after me, because I realize there are people who can love her unconditionally, unselfishly and without expectation in this big bad world. Farheena's gift of the golden ring with the word 'LOVE' engraved in a heart. She was an interesting young lady..
wow... what a read..one never knows when and where we will meet amazing people. love to come back here. Thanks Kajal. It is true and it was tough to decide whom to choose for the topic. 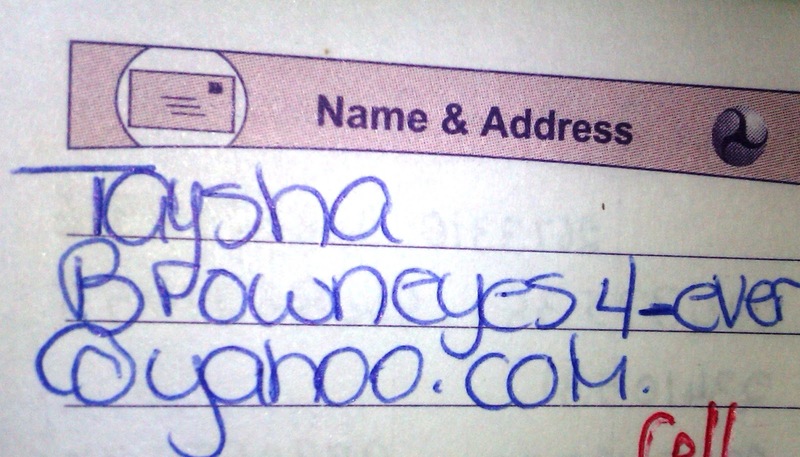 I chose Taysha because there is nothing much I can do for her other than pay a special tribute in this post. certainly an Interesting one ! amazing stories are everywhere only less people are ther to share it amazingly ! What an intriguing title and what a lovely narration. You are so right when you say that special children have this ability to recognise genuine people and generally stay away from"bad" people. Yes... they have some special intuition. I have not checked the negative ones though many times the positive ones have come true. You got me glued till the end. That was right from the realms of fairy tales. Nice remembrance and wish you the best for the contest! Really beautiful story of a wonderful experience. Hope you win again this time too. Thanks ... it is amazing how some people are never forgotten. Extremely interesting story ....good luck for the contest! What a lovely anecdote...good luck with the contest. Yes.. it has happened more than once. Strangers connect with her as though they have known her for years and so she responds at times. Her gut feelings are strong and she is a strong person when it comes to her gut feelings. You can never change her mind. hmm I think god shud have given us eyes behind our back for the same reason , its the people who love or BOAST that they love us the more , are the one who betray us the most , sad for the lady tayesha. 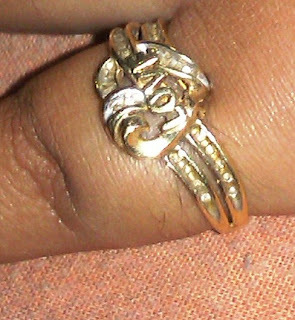 the ring looks lovely and you are right we meet strangers who leave a mark in our heart for ever, In life we meet some. It is sad how loved ones can betray us behind our backs.. sad but so true. You know how to sustain interest even in a long post...verynice post. It was a warm and pleasant experience ..
Wow, beautifully written. 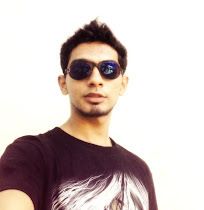 I'm glad I found your blog through the Indiblogger - Expedia contest, and heard about the story of Tayesha. Truly touching. I myself have come across many wonderful bloggers through that platform. Thanks for compliments. i hav experienced such unconditional love very recently..
i wish i could have that person in my life again..
excellent writeup with pictures at it's best. Never thought that I would be using those pictures for a purpose when we took them. I wasn't blogging back then, but they do add such wonderful flavor for my posts. this is such a lovely story and the ring looks beautiful. The ability to love unconditionally is such a rare quality. It's a gift, Farheena will treasure for a lifetime. Very beautiful and heart touching post......all the best for the contest.